Posted On November 27, 2018 by Team iCynosure. It comes as no surprise that the number of overweight people is growing by the minute in most developed countries around the world. Sedentary lifestyles and unhealthy food choices have contributed to this statistic. However, as people become heavier than before, they will need to make some changes in their regular lives. For example, a normal mattress might seem to sag faster than usual, the chairs in the dining room break easily and so on. 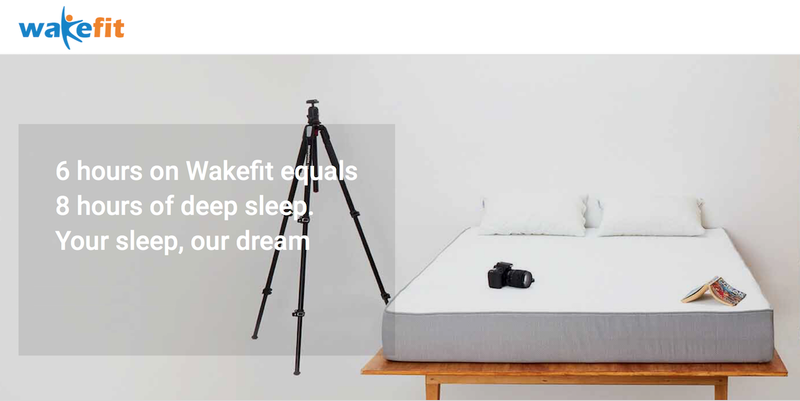 This is why top mattress manufacturing companies like Wakefit have come up with mattresses that suit people who are considerably heavier. Although mattresses for heavy people tend to have almost the same features as those for thinner people, there is a slight difference in the functionality and design. This helps people to have an optimal sleeping experience regardless of how much they weigh. A heavy person in the mattress industry is considered to be anyone who is weighing over 200 pounds. This criterion will help you decide whether you belong to this category or not. A heavy person will benefit from a double bed mattress that is at least 12 inches thick, as it will not sag easily. The thicker the mattress, the better compression support your body gets. While deciding the firmness of your new mattress, you need to consider what kind of sleeper you are. Experts in the industry recommend choosing a queen size mattress that is around 4 to 7 on the firmness scale for heavy sleepers. However, it also depends on exactly how heavy you are. If you weigh more than 250 pounds, a mattress that rates 8 on the firmness scale will also work quite well. Although you sleep in the middle of the bed during the night, you will probably use the edge of the mattress for support during the day for different purposes. It is essential to pick a mattress that offers good edge support, as it can play an important role in amorous activities as well. Innerspring Mattresses: These mattresses come with different reinforcement to make sure that the mattress is durable as well as comfortable. If you pick one with a higher number of coils, it will last for a long time if you are on the heavier side. It also helps ease pressure points. You can easily buy mattress online today and enjoy a good night’s sleep without a worry. Hybrid Mattress: These mattresses have been popping up in the market a lot in recent times. They are often constructed using different layers to offer durability, flexibility and comfort to the customer like a latex mattress. Heavy people will benefit from picking out a hybrid mattress that has a firm layer so that their body gets enough support while they sleep. It is also a good idea to check for good edge support if you tend to sit on the edge for different reasons like tying your shoelaces, putting on your makeup and so on. Memory Foam Mattress: These mattresses tend to contour to the shape of your body, regardless of its shape. In fact, foam mattress price is also budget-friendly, making it a perfect choice regardless of how much you weigh. So it does not really matter how heavy or light you are. But it is a good idea to invest in a memory foam mattress that has higher density foam as it will not sag as quickly and will last for at least the next eight years. So pick out a king size mattress and enjoy a good night’s sleep for a long time to come.